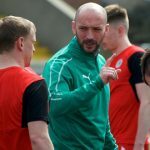 Barry Gray saluted his players for summoning up the spirit to mount a superb fightback against Glenavon yesterday and achieve their week’s objective. 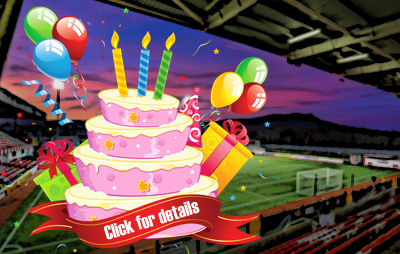 Having soared to a 5-1 victory over Dungannon Swifts last time out, the Reds were determined to add another three points to their tally and close the gap on a couple of the teams above them in the Danske Bank Premiership – and they did just that courtesy of a stirring second-half display. 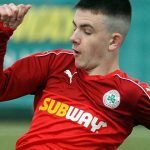 Ahead through Rory Donnelly early on, Cliftonville found themselves behind when a Jamie Harney own goal and Andrew Mitchell finish either side of the interval seemed to have put the Lurgan Blues in control. Stephen Garrett’s headed equaliser set up a rousing finale, during which Donnelly completed his brace ahead of Conor McDonald sealing things in the closing minutes – and the Manager was pleased with his team’s tenacity and application at both ends of the park. “We showed character to come back after a conceding a goal at the start of the second half and the next goal was always going to be crucial,” said Gray. “After that. there was always going to be a winner. “Our last ditch defending and goalline clearances have to be commended – something that perhaps we haven’t done well enough in recent matches – and then we went up and got the winner. “But it’s just a win. We are not talking about winning titles, we just wanted to follow up last week’s good performance with another one and I think we have done that. “It was a gritty display, it wasn’t the best we have played but it doesn’t matter. We have a 4-2 scoreline which might look comfortable but it wasn’t.